Tanzania-born entrepreneur and politician, Mohammed Dewji, is one of the youngest billionaires in Africa in 2014 and is listed in the second annual ranking of Africa’s wealthiest people as published earlier this week by Ventures Africa. Currently listed as 24th among the top 55 wealthiest businessmen in Africa, Mr. Dewji is the only Tanzania to have made the list and, at the age of 39, both he and Igho Sanomi of Nigeria are the youngest billionaires on the continent. 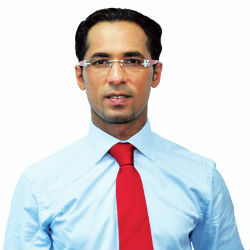 After studying business in the United States at Georgetown University, Mohamed Dewji returned to Tanzania to take over his family’s commodities trading business and has successfully grown the business into a multi-billion-dollar, multinational conglomerate, giving him a net worth of nearly USD 2 billion. Today, Mr. Dewji is a Member of Parliament representing the Singida constituency and is also the CEO of the largest privately held conglomerate in Tanzania, the METL Group, which participates in activities including distribution, textiles, manufacturing, agriculture and real estate.